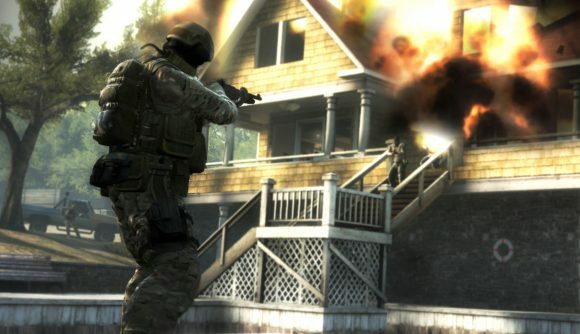 Counter-Strike: Global Offensive is now free-to-play. As you might expect, this has led to some conversation among the existing playerbase – which is perhaps a needlessly euphemistic way of saying people are mad. The game’s been hit with over 13,000 negative reviews since the update went live, and that number is continuing to grow – it’s the biggest batch of negative reviews the game has yet seen. The principal issue is that all players who previously owned the game now have Prime status, whether or not they’ve gone to the trouble of extra security by adding a phone number to their account. That gets them into Prime matchmaking with other players – and those existing players fear that this opens the door to a new wave of cheaters and smurfs making it into a pool of matches that used to be relatively locked-down. That’s the biggest problem, but not the only one noted in those user reviews. Some had crashes thanks to bugs on Intel Graphics systems. Others feel the loyalty rewards offered to long-time players aren’t enough, and still others want refunds for the original purchase price of the game. Some don’t like how the Danger Zone mode is playing out, and still more are upset that Valve followed the battle royale train at all. But the Prime divide remains the biggest point of contention. Standard matchmaking had a reputation for being full of hackers, and now all those existing players will have access to the same matchmaking pool. As Steam Charts shows, that might not be the biggest concern for Valve, though – player counts are reaching some of the best highs they have all year, and the game’s averaging about 100,000 more players compared to previous days this month. Exactly how many of those are new players and how many are coming back for the update is unclear, though – I can’t imagine there are too many Steam accounts out there that don’t already have a copy of CS:GO.